Reeves & Dola announces our new 2018 Wednesday Webinar schedule. We will offer one-hour webinars every month on U.S. export controls and federal firearms laws. We present the webinars live via the GoToTraining platform so that attendees may learn from the comfort and convenience of their own desk. 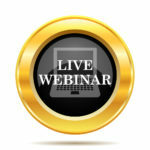 Each webinar takes place on a Wednesday from 2:00pm – 3:00pm ET. After the webinar, attendees will receive a link to download the audio version each presentation. These downloads contain proprietary information and are for registered participants only. To register, click the link in each listing below and submit the form on the Go To Training platform. For questions or more information, please contact Johanna Reeves at jreeves@reevesdola.com or by calling (202) 715-9941. Cost is $150 per attendee. The registration fee is non-refundable. In this webinar, we cover the basics of the most commonly used export license exceptions under the International Traffic in Arms Regulations, and license exceptions available under the Export Administration Regulations. Attendees learn how to and when to use license exemptions/exceptions, and the associated recordkeeping and reporting requirements. We address the regulatory requirements for temporary import transactions involving National Firearms Act (NFA) firearms, including both ATF and Department of State licensing requirements. Attendees learn the licensing and supporting documentation requirements associated with these transactions. In this webinar we focus on the importance of due diligence, including party screening and the U.S. Government lists to check. Attendees learn how to identify and address potential red flags in an export transaction. This webinar covers the fundamental parts of a compliance program for U.S. export controls and the federal firearms laws. We discuss what makes a program effective and review the essential elements, including the initial assessment, organization and reporting, and key policies and procedures. In this webinar we examine the export controls issues that may arise with demonstrations and plant visits. We will discuss recommended planning procedures, potential licensing concerns, facility security and access controls, and employee training and awareness. Learn the scope and structure of the ATF firearms compliance inspection, the legal limits of ATF’s authority to conduct warrantless inspections, and best practices for preparing for your next ATF inspection. We also cover ATF’s guidance document for inspections of Department of Defense contractors. Sales and marketing activities can present unique and challenging compliance issues under U.S. export controls. Learn the common mistakes made when engaging with non-U.S. customers, including unlicensed export of controlled technology and provision of defense services, and the U.S. Government’s requirements for licensing certain activities involving proscribed end-users or countries. Learn how to identify potential export concerns and some questions to ask to ensure proper export authorization is obtained prior to engaging in non-U.S. sales activities. Johanna Reeves’ practice focuses on regulatory compliance under U.S. export controls and federal firearms laws and regulations. She advises U.S. companies on export and import matters arising under the Arms Export Control Act, the International Traffic in Arms Regulations, the Export Administration Regulations, economic sanctions and embargoes administered by the Treasury Department Office of Foreign Assets Control, the Gun Control Act of 1968 and the National Firearms Act of 1934. Katherine Heubert focuses her practice on U.S. import and export controls, including the International Traffic in Arms Regulations, the Export Administration Regulations, the Gun Control Act, and the National Firearms Act. Ms. Heubert counsels many sectors of the defense industry on trade control policy, licensing, and technology release issues. She has extensive experience with all aspects of Department of State export and import licenses, Technical Assistance Agreements, Manufacturing License Agreements, Warehouse Distribution Agreements, retransfer requests, commodity jurisdiction requests, Advisory Opinions, General Correspondence, and Department of Commerce export licenses and commodity classification requests (CCATS).